[S190] Index - GRO and Office of National Statistics, England & Wales Civil Registration Qtrly Indexes, Birth: District of Birmingham, Vol 6d, p534, 3Q1934. [S190] Index - GRO and Office of National Statistics, England & Wales Civil Registration Qtrly Indexes, Death: District of Torbay, Reg. No. A81A, District 4221A, entry 119, Oct 1999 gives this birth date. [S190] Index - GRO and Office of National Statistics, England & Wales Civil Registration Qtrly Indexes, Death: District of Torbay, Reg. No. A81A, District 4221A, entry 119, Oct 1999. [S677] Index - England High Court of Justice, England & Wales National Probate Calendar, grant and will registered in Bristol, probate no. 305371. Marley Elaine LINDNER was born circa 1878. (Birth date based on age at death). [S484] Index - West Australian BDMs online, at http://www.bdm.dotag.wa.gov.au/_apps/pioneersindex/…, Marriage Reg. No. 1747. [S893] Newspaper - West Australian (Perth), issue of 28 Nov 1932, p1, Death Notices. [S484] Index - West Australian BDMs online, at http://www.bdm.dotag.wa.gov.au/_apps/pioneersindex/…, Death Reg. No. 1842. [S484] Index - West Australian BDMs online, at http://www.bdm.dotag.wa.gov.au/_apps/pioneersindex/…, Death Reg. No. 1786. [S688] Metropolitan WA Cemetery database, at http://www.mcb.wa.gov.au, Karrakatta Cemetery, Baptist area, section AA, grave 101, application KB00129378. [S484] Index - West Australian BDMs online, at http://www.bdm.dotag.wa.gov.au/_apps/pioneersindex/…, Birth Reg. No. 93. [S581] London Metropolitan Archives, at http://www.ancestry.co.uk, Saint Andrew, Bethnal Green, Register of marriages, P72/AND, Item 014. [S340] Census - 7 Apr 1861, UK census, ED 10 RG9-211 Folio 76 p9 GSU roll 542592. Note that her age here implies a birth c1840 - later census entries imply as late as 1842. [S189] International Genealogical Index (IGI), Batch No: M037602; 1859-1875; Source Call No. 0504222; Film 6903799. [S340] Census - 7 Apr 1861, UK census, ED 10 RG9-211 Folio 76 p9 GSU roll 542592. [S367] Census - 2 Apr 1871, UK census, ED 1 RG10-610 Folio 17 p27 GSU roll 818912. [S190] Index - GRO and Office of National Statistics, England & Wales Civil Registration Qtrly Indexes, Death: District of St Olave Southwark, Vol 1d, p150, 1Q1875, aged 37. [S916] GRO England & Wales, death record, District of St Olave Southwark, Vol 1d, p150, 1Q1875, aged 37, bookbinder. [S116] Census - 3 Apr 1881, UK Census, ED 7 RG11-389 Folio 55 p36 FHL film 1341084. [S190] Index - GRO and Office of National Statistics, England & Wales Civil Registration Qtrly Indexes, Death: District of West Ham, Vol 4a, p455, 1Q1914, aged 73. [S581] London Metropolitan Archives, at http://www.ancestry.co.uk, Bethnal Green St Matthias, Register of Baptism, p72/mts, Item 008. [S190] Index - GRO and Office of National Statistics, England & Wales Civil Registration Qtrly Indexes, Birth: District of Newington, Vol 1d, p219, 2Q1863, mother's maiden name LINDSEY. [S581] London Metropolitan Archives, at http://www.ancestry.co.uk, Newington Holy Trinity, Register of Baptism, p92/tri, Item 008, p257. [S190] Index - GRO and Office of National Statistics, England & Wales Civil Registration Qtrly Indexes, Birth: District of St Saviour Surrey, Vol 1d, p108, 1Q1872, mother's maiden name LINDSEY. [S581] London Metropolitan Archives, at http://www.ancestry.co.uk, St George the Martyr, Register of Baptism, p92/geo, Item 161. [S190] Index - GRO and Office of National Statistics, England & Wales Civil Registration Qtrly Indexes, Birth: District of St Saviour Surrey, Vol 1d, p42, 3Q1875, mother's maiden name LINDSEY. [S542] Index - New Zealand BDMs online, at http://www.bdmhistoricalrecords.dia.govt.nz/, Death Reg. No. 1991/30846 gives this birthdate. [S542] Index - New Zealand BDMs online, at http://www.bdmhistoricalrecords.dia.govt.nz/, Birth Reg. No. 1901/17798 to Henry LISSAMAN and Helen Eva. 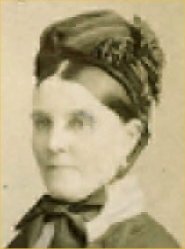 [S443] CD - NZ Marriages, CD - NZ Marriages 1836-1956 V2, NZ Registrar General's Folio 7875. [S542] Index - New Zealand BDMs online, at http://www.bdmhistoricalrecords.dia.govt.nz/, Death Reg. No. 1980/50421. [S542] Index - New Zealand BDMs online, at http://www.bdmhistoricalrecords.dia.govt.nz/, Death Reg. No. 1991/30846. [S190] Index - GRO and Office of National Statistics, England & Wales Civil Registration Qtrly Indexes, Birth: District of Glanford Brigg, Vol 7a, p586, 4Q1852, mother's maiden name BARNABY. 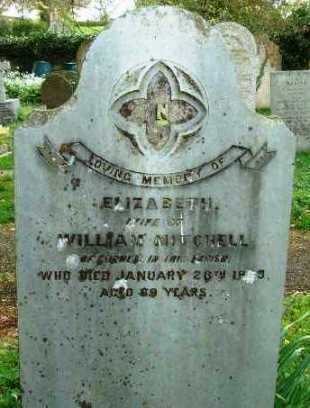 She married James HASSALL, son of Rowland HASSALL and Elizabeth HANCOX, in New South Wales in 1836. [S502] Index - Victoria BDMs online, at https://online.justice.vic.gov.au/bdm/indexsearch.doj, Death Reg. No. 8288/1862, aged 61. [S502] Index - Victoria BDMs online, at https://online.justice.vic.gov.au/bdm/indexsearch.doj, Death Reg. No. 8978/1895, aged 78, dau of John Payne LLOYD and Catherine BUCKLEY. [S118] Census - 30 Mar 1851, UK census, ED 1b HO107-1901 Folio 22 p3-4 GSU roll 221052. [S677] Index - England High Court of Justice, England & Wales National Probate Calendar, letters of administration granted to Elizabeth OSMOND (wife of Thomas OSMOND, farmer) daughter of the deceased. [S190] Index - GRO and Office of National Statistics, England & Wales Civil Registration Qtrly Indexes, Death: District of Liskeard, Vol 5c, p46, 1Q1870, aged 69. [S680] Cornwall Online Parish Clerk database, at http://www.cornwall-opc-database.org, resident of Corneal, aged 69. [S190] Index - GRO and Office of National Statistics, England & Wales Civil Registration Qtrly Indexes, Birth: District of Holborn, Vol 1b, p790, 1Q1875, mother's maiden name FORSAITH. [S116] Census - 3 Apr 1881, UK Census, ED 26 RG11-257 Folio 24 p41. [S178] Census - 5 Apr 1891, UK census, ED 34 RG12-146 Folio 30 p57.